Following permit approval, Tuesday, July 10th, 2018 and with prep work completed, general contractor Ball Construction has retrofit construction well underway. The 345,000 square foot expansion is estimated at a $35-$40 million price tag to bring capacity to around 28,500kg/year before 2019 is through. 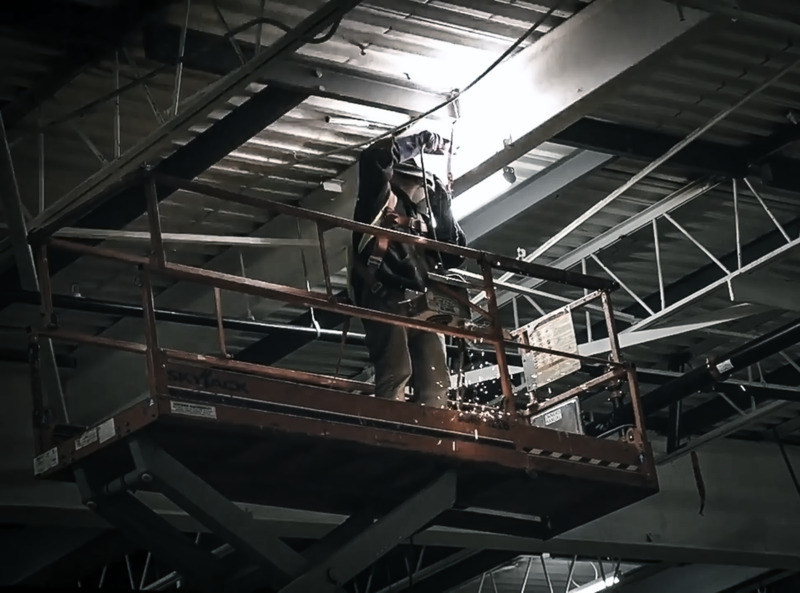 Adapting the former auto parts plant into a large-scale indoor growing operation has required the expertise of many different subcontractors. Daily there are anywhere between 15-20 tradespeople working steadily to meet the aggressive build-out timeline overseen by general contractor Ball Construction. Subcontractors Stumpf Fire, Stecho Electric, Bulldog Security, Dunrite, High Level Industrial Cleaning and TDI are the driving force of completing the retrofit and taking on any logistical challenges as they arise. JWC ensures their involvement on the ground level during all phases of construction with two full-time on-site employees. The mechanical aspect of the project has consisted of Stumpf Fire installing new sprinkler systems throughout the facility, paired with Stecho Electric inspecting existing electrical lines and installing new additions to bring them up to code whilst Bulldog Security installs security components. Dunrite have completed the epoxy floors throughout the production space and have moved towards completing the secondary production areas. TDI has been working alongside, building from the floor up unique thermal panels as High Level Industrial Cleaning has been responsible for clearing away the grease and grime left behind from the old prior machinery using dry ice blasting and painting. In addition to all the work currently underway, JWC works diligently to finalize HVAC designs for the warehouse with Conestogo Mechanical and Price Industries for production specific equipment.